This new study is the first comprehensive account of U.S. Policy toward China during the presidency of Lyndon Johnson, a critical phase of the Cold War immediately preceding the dramatic Sino-American rapprochement of the early 1970s. 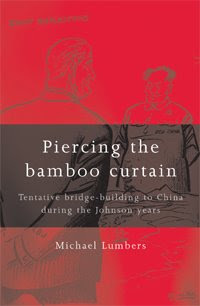 Based on a thorough review of a wide array of recently declassified government documents, this book offers a fresh perspective by challenging the popular view that Johnson’s approach to China was marked by stagnation and sterility. For more information, click on the title above. 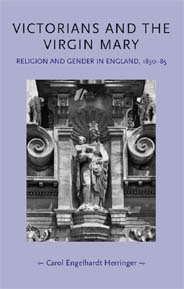 this book seeks to revise our understanding of the Victorian religious landscape by retrieving Catholics from the cultural margins to which they are usually relegated. By showing that the Roman Catholics and Anglo-Catholics constituted a significant proportion of Victorian society that was opposed to the Protestant majority, this analysis more accurately evaluates their contributions to Victorian culture. 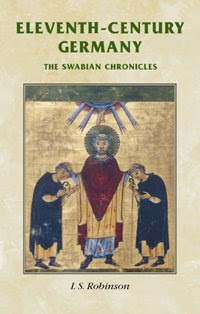 In the abbey of Reichenau, in the south-western duchy of Swabia, the great polymath Herman ‘the Lame’ composed a chronicle that contains the most detailed account of the reign of Emperor Henry III (1039-56). His pupil and biographer, Berthold of Reichenau continued his master’s work, composing a rigorous extant account of the years 1076-1079 in Germany. The Swabian chronicles reveal how between 1049 and 1100 the centripetal attraction of the reform papacy became the dominant fact of intellectual life in German reformed monastic circles. Category: History, Literature, Theatre Studies	619 Comments.